A clear expression of the physicality of the Stoic School can be found in the writings of Musonius Rufus. History leaves us very little of Musonius's words, but what we do have is illuminating. 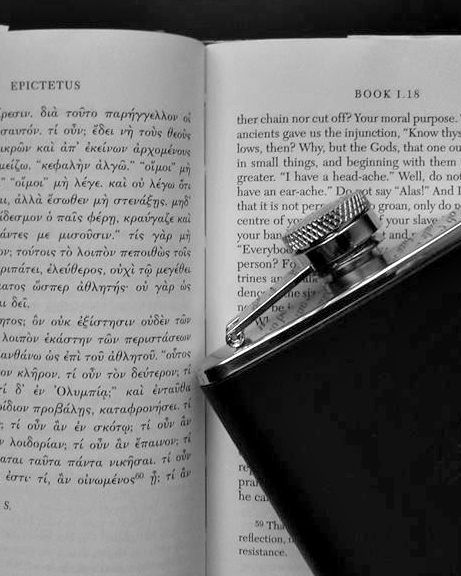 Unlike other Stoic texts, his give us insight into the daily practices at the Stoic school. For instance, he gives lessons on what foods Stoics should eat. He also gives job advice and lets loose some really horrible opinions concerning sexual relationships (always remember, we don't always have to pick up what ancient Greek guys are laying down). The ancient notes titled, By Musonius from the lecture on practicing philosophy, begin, "virtue...is not just theoretical knowledge, it is also practical, like both medical and musical knowledge. The doctor and the musician must each not only learn the principles of his own skill but be trained to act according to those principles. Likewise, the man who wants to be good must not only learn the lessons which pertain to virtue but train himself to follow them eagerly and rigorously." Stoicism is meant to be used in the field. What's the point in claiming indifference to the things we don't control if we continuously get angry as slow traffic? Stoicism is only Stoic when it is enacted, and that requires disciplined practice. Posted in Stoic Perspective, Stoic Exercises. January 26, 2015 by Matt Van Natta.